Be taught your Tailoring skills by Savile Row trained tailors and cutters. This class offers precise training in every detail of making a ‘Pocket Baste Fitting’ to industry standards, as currently practiced along Savile Row. Emma will show you her method of making a pocket baste, as well as working with you to find your own ‘Tailoring Hand’. There is then the option to take this class forward to the next fitting, & finish stages with Emma’s Tuition – These class times/dates will be available towards the end of the year. fOR MORE INFO CLICK ON THE LINK. Here you will make a waistcoat from start to finish, in the British Bespoke way. A waistcoat uses many of the tailoring skills that are used when making a bespoke jacket, however, as a smaller garment it is a perfect way for those less confident to start. Nevertheless, a bespoke waistcoat is a beautiful garment to learn to make - whatever your skill set! This class offers precise training in every detail of making a ‘Classic Flat Fronted’ pair of bespoke trousers to industry standards, as currently practised along Savile Row. Auburn is a highly skilled trouser maker and is currently one of the premier trouser makers in operation at Dege & Skinner. 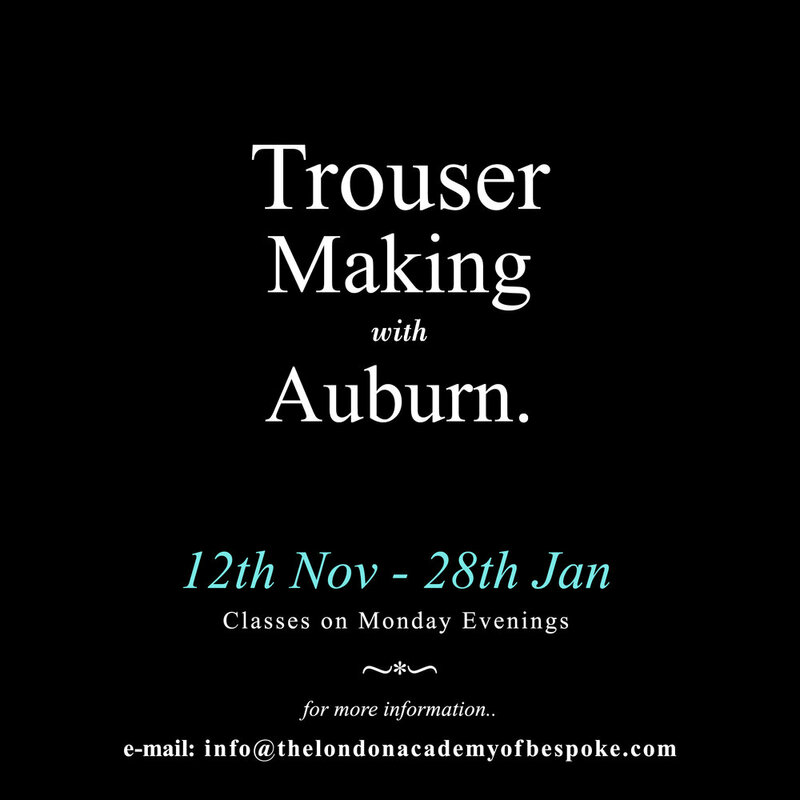 Auburn will teach you the core skills, alongside her take on the classic technique of making a Bespoke pair of trousers, including pockets – how many, is up to you!